A clear sign of an unbalanced mind. 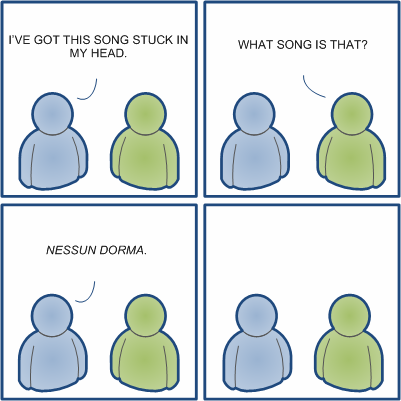 Who gets Puccini arias stuck in their head besides maybe Hannibal Lechter? Actually, that was me. I just thought it would be funnier in comic form. As far as why I’ve been humming it to myself ever since, maybe I’ve been chosen to spearhead a cultural renaissance in America.